You are here: Home » Tasteful or tasteless? 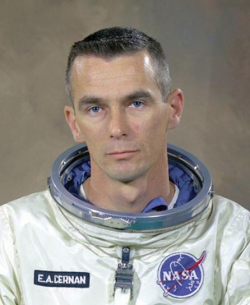 Yesterday it was reported that the last man on the moon, Gene Cernan had died. He was 82. Today, the first email I received was to remind the world that the documentary that he starred in is available to buy on DVD or Blu-ray. I’m not sure if someone thought “Wow! We have a film about him on our books, let’s release a press email about it and get some more sales“. Whoever thought that was an idiot! I watched the film last night on Netflix to remember how great the Apollo program was. Not only that, it’s a great documentary and you learn a lot about, not only Gene but a lot of the other Apollo astronauts. This is, I think, the only time I have ever received an email like this. I know this has happened in the past, in other fields, but I haven’t in the 20 years that I’ve been working with film! Thank you for starting my day in such a depressing way. When Apollo astronaut Eugene Cernan stepped off the moon in 1972 he left his footprints and his daughter’s initials in the lunar dust. Only now, forty years later, is he ready to share his epic but deeply personal story. Cernan’s burning ambition carried him to the spectacular and hazardous environment of space and to the moon. But there was a heavy price to pay for the fame and privilege that followed. 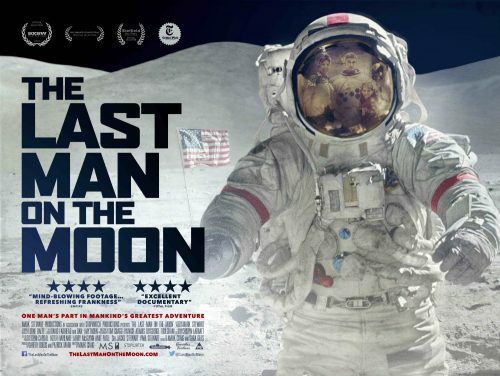 As his wife famously remarked, ‘If you think going to the moon is hard, try staying at home.’ This documentary combines rare archive material, compelling visual effects and unprecedented access to present an iconic historical character on the big screen. Available to buy on DVD or Blu-ray now.